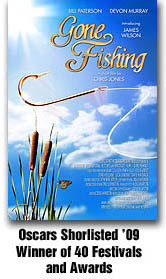 Today, the Film Festival plans for Gone Fishing took their first big steps. 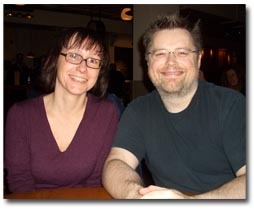 I met with the charming Kasia Skibinska from the British Council - she looked relieved whe I saw her as it’s just been reported that the knife hanging over the film department at the BC has (for now) been removed. It’s business as usual... but with a possible reshuffle in the future. Still, she told me, everyone was a lot more comfortable when it was announced today. Great stuff. 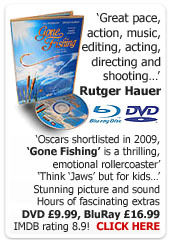 So... we discussed the plan s for Gone Fishing, about getting it into Oscar accredidetd festivals (so it is elligable for an Osacr nomination in the 2009 awards), where to Premiere, what other festivals to attend and how to manage it all. I don’t want to be specific about what our plans are just now, as you can imagine, much of it is about pulicity and managing that closely – so I have to keep a tight lid on it for now. But it’s all good news and we feel confident that we will get some excellent coverage.